Kerala has been severely hit by monsoon rains and rivers and dam reservoirs are overflowing, inundating a large part of the southern state. 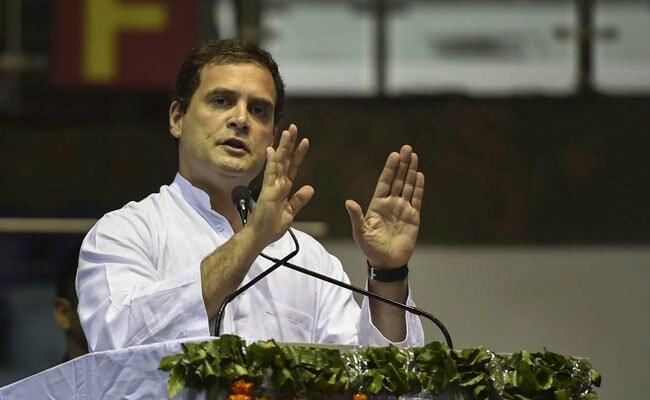 Congress president Rahul Gandhi on Friday urged party workers in flood-hit Kerala to mobilise resources for helping the people of the state, while displaying the core Congress values of service and love. "Across Kerala & now Kodagu in Karnataka, heavy rainfall has caused widespread devastation. This is the time for our workers & leaders to demonstrate the core Congress values of service & love. Please focus all our resources & people to help those in need (sic)," he tweeted. The deadliest deluge in close to a century has claimed 173 lives since August 8, and dealt a severe blow to the scenic state, wrecking its tourism industry, destroying standing crops in thousands of hectares and inflicting huge damage to infrastructure.